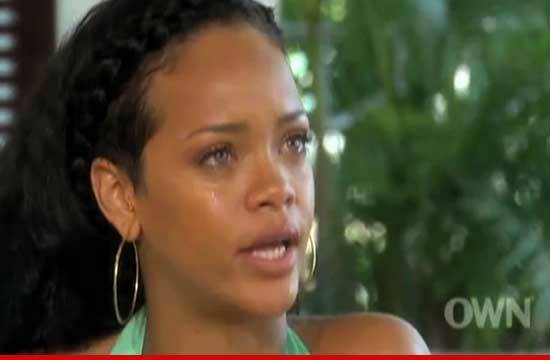 With tears pouring down her face, an emotional Rihanna opened up to Oprah about Chris Brown ... describing how she "lost her best friend" after he attacked her back in 2009. During the interview, set to air Sunday night on OWN, Rihanna described her emotions following the beating. "It was a weird, confusing space to be in ... because as angry as I was, as angry and hurt and betrayed, I just felt like he made that mistake because he needed help ... and who's going to help him?" Rihanna continued, "Nobody's going to say he needs help. Everybody's going to say he's a monster without looking at the source ... and I was more concerned about him." "I lost my best friend ... everything I knew switched ... switched in a night and I couldn't control that." Brown ultimately pled guilty to felony assault for the 2009 beating and was sentenced to 5 years probation and was ordered to stay away from the singer. The restraining order has since been lifted.